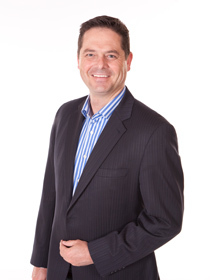 Dr Graeme Codrington is an expert on the future world of work and the disruptive forces that are shaping it. As an author and researcher, his insights and analysis are sought after by business schools and CEOs around the world, with five degrees, five best-selling books. Four are published by Penguin, including the award winning, “Mind the Gap” and “Future-Proof Your Child and a full-time research team at his company, TomorrowToday, to back it up. Graeme works as a Board advisor, strategist, and as a keynote presenter and facilitator, using multimedia, a gently rebuking humour and an engaging style to make his insights accessible and inspiring. He works across multiple industries at numerous meetings and events in more than 20 countries every year. Graeme is the co-founder and a senior partner of TomorrowToday Global, a global firm of futurists and business strategists. He is also a guest lecturer at a number of top business schools, including the London Business School, Duke Corporate Education, Cornell and the Gordon Institute of Business Science. In a turbulent and fast-changing world it’s vital to have clear insights on what is changing, why it’s shifting and the impact these changes will have on you and your business. His client list includes some of the world’s top companies, and CEOs invite him back time after time to share his latest insights and help them and their teams gain a clear understanding of how to successfully prepare for the future. Clients that have applied Graeme’s insights have seen significant improvements in their businesses, especially in areas of strategy development and implementation, leadership effectiveness, team dynamics and the application of technology to innovation. Graeme helps his clients to harness the opportunities inherent in the disruptive changes we’re all experiencing right now. He custom-designs each engagement to ensure his clients get precisely what they need, from keynote presentations to leadership programmes and online resources. Graeme works from bases in London, Johannesburg and Toronto, presenting and facilitating on every continent around the world. Graeme’s international experience and depth of knowledge makes him highly relevant in today’s rapidly evolving business world. Along with his formal qualifications (5 degrees), research credentials (a number of research awards and four bestselling books), he has a wide range of business experience (he worked for KPMG, was involved in an IT startup, and is now a successful entrepreneur).